POINT ROBERTS, Wash., Delta B.C., December 29, 2008 - www.InvestorIdeas.com, one of the first online investor resources providing in-depth information on renewable energy, greentech and water, provides independent investors access to research tools for making investment decisions moving into 2009 with a new Obama administration. With Obama’s mandate for renewable energy and infrastructure spending and job creation, investors researching the sectors can use the stock directories and resources at Investorideas.com to make their investment decisions. Investors in Biotech are also anticipating an upbeat year in the sector in 2009. Investor Ideas has just added the updated Biotech Stocks Directory to the growing list of tools and resources for members. Investorideas.com has upgraded memberships to include access to restricted content at the Water Stocks Directory, Renewable Energy Stocks Directory and the most recent addition; the Biotech Stocks Directory. Stock directories are also a useful tool for brokers, institutions and funds in the relative sectors. The water stocks directory is part of the content at the Water-stocks.com portal at Investorideas.com that also features the Investing in Water Podcast. The complete renewable energy stocks directory is now members only access page. The directory features stocks listed on the TSX, OTC, NASDAQ, NYSE, AMEX, ASX, AIM markets and other leading exchanges. The directory includes info and links on Alternative Energy Funds, Biogas and Ethanol Stocks, Energy Efficiency Stocks, Flywheel Stocks, Fuel Cell Stocks, Geothermal Stocks, Hydrogen Production, Micro Turbine Stocks, Solar Stocks, Green Transportation, Wind Power and Wind Energy Stocks and recently added Green Infrastructure Stocks. Renewableenergystocks.com is one of several green investor portals within Investorideas.com and provides investors with stock news, exclusive articles and financial columnists, audio interviews, investor conferences and a directory of stocks within the renewable energy sector. “The Insiders Corner “http://www.investorideas.com/insiderscorner/ By Michael Brush is also an Investorideas.com members only feature. Michael Brush writes a weekly market column for MSN Money. Mr. Brush has also covered business and investing for the New York Times, Money magazine and the Economist Group. “The world’s largest operating wind power project” will be a hotly contested designation this year: At least one new project may soon surpass FPL Energy’s 736-megawatt (MW) Horse Hollow wind farm, which has been the world’s largest for three years running. One project under expansion, by E.ON Climate & Renewables (EC&R) North America, and currently scheduled to go online in mid-2009, would have a total capacity of 781.5 megawatts (MW) when it is completed. The Horse Hollow Wind Energy Center, located in Taylor and Nolan counties, Texas, claimed the title in 2006. “The Horse Hollow Wind Energy Center is an important new source of clean, renewable power for the region that also provides significant economic benefits to the area in the form of taxes, new jobs, lease payments to landowners, and the purchase of local goods and services,” said FPL Energy President Jim Robo at the time of its commissioning. Gigawatt-size projects (in the thousands of megawatts) like the ones proposed by T. Boone Pickens and Shell Wind Energy are also in the pipeline but will take several years to be built. Wind power: second-largest source of new U.S. power generating capacity for 5th year in a row? Wind is now a mainstream option for new power generation, second only to natural gas plants in new capacity built from 2005 through 2007, and probably again in 2008, pending year-end figures. Measured by market share, wind provided 35% of all new generation added in the U.S. in 2007. And with 7,500 MW of new capacity expected when 2008 figures are released, wind is likely to contribute at least 35% of new capacity added this year. This is one more indicator that wind power is abundant, affordable and available now to contribute a growing portion of our national electricity supply. establishing a national renewable electricity standard (RES) with a target of generating at least 25% of the nation’s electricity from renewables by 2025, and a near-term target of 10% by 2012 (a Washington Post poll in early December found that 84% of Americans support such a standard); legislation and initiatives to develop a high-voltage interstate transmission “highway” for renewable energy; and strong national climate change legislation. For a full list and description of the policies, see http://www.newwindagenda.org/. States will focus on RES, transmission for renewables: Expect one or more states to implement (Indiana) or strengthen (Wisconsin and New York) their Renewable Electricity Standards (RES), bringing the number of states with an RES from 28 to perhaps 30. Look also for some states, including some without an RES (Oklahoma, Kansas, Nebraska) to develop a process to facilitate investment in transmission for electricity generated using renewables. Texas, Colorado, Minnesota, and California have already shown the way with pro-active transmission policies for renewable energy. “Baseload/peaking” is “out” and “smart mix” is “in”: The electric industry faces dramatic transformations as it wrestles with the challenges of the 21st century. The old paradigm that assumed “baseload” power plants were necessary is being replaced by a new paradigm where both demand and supply are managed in tandem, and electricity is supplied by a smart, clean mix including a high level of renewable and flexible technologies. Under its 20% wind by 2030 scenario (http://www.20percentwind.org/), the U.S. Department of Energy found that 20% wind would likely reduce the need for new coal and leave the level of nuclear power unchanged. More community wind projects in 2009: The fast-growing wind power market is also opening up opportunities for community wind, which are projects owned by farmers, ranchers or other local investors or public entities. Look for more community wind proposals in 2009, and more AWEA education and outreach on the topic over the course of the year. AWEA business membership will surge past 2,000 by mid-year: More companies see opportunities in the wind energy industry, and the expanding AWEA business membership roll is a measure of that interest. AWEA business membership increased from 200 in 2000, to more than 600 in 2005, and has soared over the 1,800 mark in 2008. If the trend continues, the roll of AWEA member companies could pass 2,000 by mid-2009. Most of the new members are companies in the wind power supply chain. Industry will finalize guidelines for wind turbine O&M: When an industry becomes mainstream, it needs to put in place a variety of standards and guidelines, and wind power is no exception. AWEA and the wind power industry are working with the Occupational Safety and Health Administration (OSHA) to develop safety guidelines for wind turbine technicians and O&M workers at utility-scale wind projects. AWEA will be presenting educational webinars to OSHA personnel in early 2009. AWEA expects to finalize standards for small wind turbines: Standards for small wind turbines will help ensure qualification for the new small wind turbine federal investment credit that is now available for homeowners and small businesses investing in a small wind system. Manufacturing standards have long been in place for utility-scale wind turbines and continue to evolve with the technology. Larger incentive for small wind? Homeowners, farmers, and small-business owners now benefit from a federal incentive enacted in late 2008 for the purchase of small wind systems. However, this credit is capped. Owners of small wind systems with 100 kilowatts (kW) of capacity and less can receive a credit for 30% of the total installed cost of the system, not to exceed $4,000. For turbines used for homes, the credit is additionally limited to the lesser of $4,000 or $1,000 per kW of capacity. Look for an effort to remove this limitation, so that consumers can benefit from a credit of a full 30% of the total cost of a small wind turbine purchased for an individual home or business. Denise Bode takes the helm at AWEA: Denise Bode steps in as the new CEO for the American Wind Energy Association on January 5, succeeding Randall Swisher, who retired in 2008 after leading the association and industry for 19 years. Bode takes over at an exceptional time for the industry. Also new is AWEA’s logo at the top of this page. The logo has been updated to reflect the new era for wind energy in the U.S.
AWEA is the national trade association of America’s wind industry, with more than 1,800 member companies, including global leaders in wind power and energy development, wind turbine manufacturing, component and service suppliers, and the world’s largest wind power trade show. AWEA is the voice of wind energy in the U.S. promoting renewable energy to power a cleaner, stronger America. More information on wind energy is available at the AWEA Web site: http://www.awea.org/. WASHINGTON – The U.S. Department of Energy (DOE) today announced the issuance of a Funding Opportunity Announcement (FOA) for up to $200 million over six years (FY 2009 – FY 2014), subject to annual appropriations, to support the development of pilot and demonstration-scale biorefineries including the use of feedstocks such as algae and production of advanced biofuels such as bio-butanol, green gasoline and other innovative biofuels. The projects will support the Administration’s comprehensive energy strategy of increasing the nation’s energy, economic and national security by reducing our reliance on foreign oil, and reducing greenhouse gases. While supporting deployment and increased biofuels usage, DOE continues to focus on research and development of advanced biofuels technologies. Pilot-scale, minimum throughput of one dry tonne of feedstock per day with a minimum non-federal cost-share at 30 percent. Demonstration-scale minimum throughput of 50 dry tonnes of feedstock per day, with a minimum non-federal cost-share at 50 percent.DOE anticipates making approximately 5-12 awards under this announcement, depending on the topic area, and size of awards. Projects selected under this FOA will provide operational data that reduces the risk associated with commercialization. The intent of this FOA is to have integrated biorefinery projects at the pilot and demonstration scale levels operational within three to four years after applicants are selected. All projects must be located within the U.S., use feedstock from domestic biomass resources, and demonstrate significant greenhouse gas reductions on a lifecycle basis. This FOA adds to over $1 billion DOE has committed to research, development, and demonstration of cellulosic biofuels technology. These pilot and demonstration-scale facilities are intended to lead to commercialization in the near term. If deployed on a large scale, these commercial facilities could produce volumes that could significantly contribute to the Energy and Independence Security Act (EISA) Renewable Fuels Standard goal of 21 billion gallons of advanced biofuels by 2022. The projects selected will demonstrate the commercial viability for producing advanced biofuels from a variety of biomass conversion technologies and non-food feedstocks, therefore reducing U.S. dependence on oil. Advanced biofuels produced from these projects are expected to reduce greenhouse gas emissions by a minimum of 50 percent, as determined by the Environmental Protection Agency. Mandatory letters of intent are due February, 20, 2009, and completed applications are due April 30, 2009. The complete FOA (number DE-PS36-09GO99038), can be viewed at www.grants.gov. Projects are expected to begin in Fiscal Year 2009 and continue through Fiscal Year 2014. Funding is subject to annual Congressional appropriations. SAN FRANCISCO--Dec 22 2008 --Wells Fargo & Company (NYSE:WFC) said today it has provided more than $3 billion in environmental financing, surpassing its goal to provide $1 billion in environmental finance commitments - two years ahead of schedule. The company has released a “Progress Report on Wells Fargo’s Environmental Finance Commitment,” (available at wellsfargo.com/environment) describing how it supports environmental markets. Wells Fargo’s $1 billion lending target was part of its 10-point environmental commitment aimed at helping to integrate environmental responsibility into its business practices. Wells Fargo & Company is a diversified financial services company with $622 billion in assets, providing banking, insurance, investments, mortgage and consumer finance through almost 6,000 stores and the internet (wellsfargo.com) across North America and internationally. WASHINGTON - Dec 18 2008 Today the Department of Energy (DOE) announced the award of 16 new Indefinite Delivery Indefinite Quantity (IDIQ) Energy Savings Performance Contracts (ESPCs) that could result in up to $80 billion in energy efficiency, renewable energy, and water conservation projects at federally-owned buildings and facilities. ESPCs help to meet the federal government’s energy efficiency, water conservation, and renewable energy goals. The federal government is the largest single user of energy in the United States and these awards demonstrate a commitment to sound government stewardship by recognizing efforts to save energy, reduce federal energy costs, cut greenhouse gas emissions, bring more cutting-edge technologies to use, strengthen national security, and create a stronger economy. “This set of awards will ensure that federal agencies have access to powerful tools for alternative financing at a scale that is needed to meet our challenge of reducing energy intensity, increasing the use of renewable energy, and decreasing water consumption.” U.S. DOE Secretary Samuel W. Bodman said. In August 2007, Secretary Bodman launched the Transformational Energy Action Management (TEAM) Initiative, a Department-wide effort aimed at reducing energy intensity across the nationwide DOE complex by 30 percent. The TEAM Initiative aims to meet or exceed the aggressive goals for increasing energy efficiency throughout the federal government already laid out by President Bush through Executive Order 13423, which directed federal agencies to: reduce energy intensity and greenhouse gas emissions; substantially increase use and efficiency of renewable energy technologies; adopt sustainable design practices; and reduce petroleum use in federal fleets. Trane U.S., Inc. (McEwen, Tenn.). The goals set out in Executive Order 13423 and the requirements put forth by Congress in the Energy Policy Act of 2005 and the Energy Independence and Security Act of 2007 include a 30 percent reduction in energy intensity and a 16 percent reduction in water use by 2015, and an increase of renewable energy to 7.5 percent of electricity needs by 2013 for Federal facilities. ESPCs enable agencies to undertake energy savings projects without paying up-front capital costs. ESPC task orders typically are placed competitively and can be used for energy and water efficiency and renewable energy projects. Under an ESPC, the contractor designs, constructs, and obtains the necessary financing for an energy savings project, and the agency makes payments over time to the contractor from the savings reduction in the utility bills which are paid by the agency’s appropriated funds over time. The contractor guarantees the energy improvements will generate savings. Moreover, the aggregate annual amount of payments to the contractor and payments for utilities cannot exceed the amount that the agency would have paid for utilities without an ESPC. After the contract ends, all continuing cost savings accrue to the agency. The new contracts provide for a maximum individual contract value of $5 billion over the life of the contract, eliminate technology specific restrictions, and allow federal agencies to use these contracts in federal buildings, nationally and internationally. In addition, ESPCs now include a greater emphasis on renewable energy and water conservation projects. For further information on the new ESPCs please see the feature box on the FEMP website. NEW YORK & LONDON, Dec 18, 2008 -- Venture capital investment in cleantech companies reached a record US$4.6 billion in the first three quarters of 2008, according to Ernst & Young's analysis of activity in the United States, Europe, China and Israel based on data from Dow Jones VentureSource. This is an increase of 82% compared with the same period last year and represents 13% of all venture capital investment in these geographies. 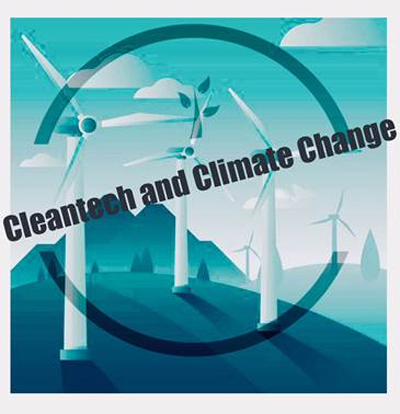 "Global venture capital investment in cleantech accelerated in 2008 as a number of companies, particularly in the solar and wind market, entered the capital intensive stage of commercializing new technologies. This increase in activity has been stimulated by a strengthening corporate commitment to tackling climate change," said Gil Forer, Ernst & Young's Global Director of Cleantech, IPO and Venture Capital Initiatives. "However as the global financial crisis continues and the time from initial investment to exit gets longer, venture capital investors will likely moderate the pace of investment across all sectors, including cleantech," added Forer. United States The United States continues to be the main driver of global venture capital investment in cleantech companies. A total of US$3.3 billion was invested in the first three quarters of 2008 in 135 financing rounds, surpassing the figure for the same period last year by 71% in terms of capital raised and 4% in terms of financing activity. By cleantech segment, Energy/Electricity Generation companies attracted the most investment during the first three quarters of 2008: US$1.8 billion in 47 rounds of financing. Solar companies were by far the largest component of this segment with US$1.7 billion invested in 35 rounds - an increase of 152% in capital and 17% in financing over the same period in 2007. Alternative Fuels received US$455.5 million in investment, growing 7% over the same period last year, while the Energy Efficiency segment grew 32% to US$186 million. Several US regulatory developments in 2008 supported the continuing development of the cleantech market. The Housing and Economic Recovery Act of 2008 extended tax credits for wind energy, geothermal, biomass and other renewable energy projects, continuing and expanding an important source of financing for renewable projects. The Regional Greenhouse Gas Initiative (RGGI), a mandatory cap-and-trade program to reduce CO2 emissions from the power sector in ten Northeastern and Mid-Atlantic states became operational, which will likely drive long-term demand for efficiency and emissions-reduction technologies. Missouri and Michigan joined the growing number of states with binding or voluntary renewable portfolio standards. Europe In the first three quarters of 2008, venture capital investment in European cleantech companies reached EUR 481.8 million in 53 financing rounds, a 67% increase in capital raised but a decline of 15% in the number of rounds. As in the US, Energy/Electricity Generation attracted the largest share of European cleantech investment with EUR 371.3 million raised 1Q-3Q 2008, a 220% increase. Wind was the largest segment with EUR 182.7 million raised in 7 rounds. Solar was also a major contributor to growth in this category with 7 rounds totaling EUR 139.0 million. Other major European cleantech investment categories in this period include Environment with EUR 49.9 million raised and Energy Storage with EUR 24.8 million raised. European climate change regulatory developments in 2008 were also favorable to the further development of the cleantech market. The United Kingdom passed legislation to reduce greenhouse gas emissions by 80% by 2050, becoming the first country to impose a legally binding national emissions-reduction target. Despite the global economic crisis, European Union leaders reaffirmed their commitment to the targets of cutting EU CO2 emissions by 20% by 2020, and obtaining at least 20% of energy from renewable sources and achieving an overall 20% reduction in energy use. Chinese cleantech investment grew quickly in the first three quarters of 2008, raising US$165 million compared to US$29.1 million during the same period last year. The Energy/Electricity Generation category received US$95.8 million, up from US$4.6 million. Solar was largest component of investment in this category, raising US$85.2 million. The next largest category of investment was Industry Focused Products & Service, which raised US$54.5 million for companies focused on agriculture, consumer products, materials and transportation. China has rapidly emerged as a cleantech manufacturing center, particularly in solar and wind, and is poised to benefit from the growing adoption of cleantech globally. Energy efficiency is an emerging segment due to the country's large-scale construction activity and energy consumption. Makers of energy efficiency technologies see in China an opportunity to achieve scale quickly. Multinational corporations increasingly view China as a test market for intelligent network systems and sensors. Israeli cleantech companies received US$76.5 million in venture capital investment in the first three quarters of 2008, up from US$31.5 million in the same period last year. The Energy/Electricity Generation category, consisting entirely of Solar companies, received US$46.5 million. Water was the other main focus of Israeli investment with US$18.2 million raised. Market drivers and related developments in clean energy Broader investment activity in clean energy alone - that is excluding the non-energy sectors of cleantech - remained strong in the first three quarters of 2008, supported by healthy asset investment activity in the first half of the year. Total new energy asset finance during the first three months of the year rose from US$74.2 billion during 2007 to US$89.7 billion in 2008, an increase of 20.9%, according New Energy Finance, a provider of information and research to investors in renewable energy, low-carbon technology and the carbon markets. New Energy Finance reported a total of US$14.7 billion of venture capital and private equity invested in clean energy companies during the first three quarters of 2008, up from a total of $10.0 billion in the same period last year. However, clean energy IPOs during the first three quarters of 2008 dropped to US$9.4 billion, a decline of 33%, according to New Energy Finance. This reflects the impact of the financial crisis and rapidly falling value of clean energy stocks. At the same time, clean energy M&A transactions declined 17.3% to US$15.8 billion, primarily focused on targets in the Equipment Manufacturing and Developer & Power Generator companies. Analysis of the carbon markets by New Energy Finance shows that in spite of the global economic turmoil the carbon market has continued to grow. Although carbon prices have come off the highs of May 2008, liquidity remains strong and substantially above the levels seen in 2007. The carbon market grew 81% over the first nine months of this year to reach US$87 billion (EUR 68bn) by the end of Q3, and is forecast to break the US$100 billion barrier by year end to reach US$116 billion (EUR 90bn). This growth is expected to continue to 2012 buoyed by higher prices and volumes, by when it should reach US$550 billion (EUR 429bn). -ends- Note to editors All comparative numbers in the release are 1Q-3Q 2007 vs. 1Q-3Q 2008. Ernst & Young uses the following definitions to classify the cleantech industry and its sub-sectors: Clean technology encompasses a diverse range of innovative products and services that optimize the use of natural resources or reduce the negative environmental impact of their use while creating value by lowering costs, improving efficiency, or providing superior performance. -- Alternative Fuels - Biofuels; natural gas (LNG) -- Energy / Electricity Generation - Gasification, tidal/wave, hydrogen, geothermal, solar, wind, hydro -- Energy Storage - Batteries, fuel cells, flywheels -- Energy Efficiency - Energy efficiency products, power and efficiency management services, industrial products -- Water - Treatment processes, conservation & monitoring -- Environment - Air, recycling, waste -- Industry Focused Products and Services - Agriculture, construction, transportation, materials, consumer products About Ernst & Young's Strategic Growth Markets Network Ernst & Young's worldwide Strategic Growth Markets Network is dedicated to serving the changing needs of rapid-growth companies. For more than 30 years, we've helped many of the world's most dynamic and ambitious companies grow into market leaders. Whether working with international mid-cap companies or early stage venture-backed businesses, our professionals draw upon their extensive experience, insight and global resources to help your business achieve its potential. It's how Ernst & Young makes a difference. About Ernst & Young Ernst & Young is a global leader in assurance, tax, transaction and advisory services. Worldwide, our 135,000 people are united by our shared values and an unwavering commitment to quality. We make a difference by helping our people, our clients and our wider communities achieve their potential. For more information, please visit www.ey.com. Ernst & Young refers to the global organization of member firms of Ernst & Young Global Limited, each of which is a separate legal entity. WASHINGTON Dec 18 2008 - The fuel cell industry asked Congress and the incoming Obama Administration today to set aside $1.2 billion in the planned stimulus package for fuel cells and their fuels. “Accelerating investment into fuel cells now will foster green power, advance a critical climate-enhancing technology, accelerate job creation and keep innovation, industrial capacity and jobs at home,” said Robert Rose, Executive Director of the US Fuel Cell Council. The investment would produce an estimated 24,000 jobs, Rose said. The industry program calls for lease and purchases of fuel cells by federal civilian and military agencies for power generation and as battery alternatives, investment in supporting fueling infrastructure, improving federal investment tax credits for fuel cells and extending a credit to fuels. It also includes expanding learning demonstrations, accelerating research, and supporting an expansion of manufacturing capability at fuel cell companies and key suppliers, to foster a supply base and develop domestic momentum for jobs and expansion. Fuel cells generate electricity and heat electrochemically, providing overall energy efficiencies of up to 80%, or even higher. Fuel cells produce benefits in all applications – power generation, industrial equipment, transportation, military power and consumer electronics. Because fuel cells are electrochemical systems and do not rely on combustion they are the cleanest fuel-consuming energy technology, with near-zero smog-causing emissions. They are essential to the nation’s response to climate change. Fuel cells and hydrogen can help provide stability and continuity to the electric grid since they can provide continuous “base load” power in parallel with or independent of the grid. In addition, they can support intermittent renewable energy. These attributes make them ideal resources for supporting critical loads for military and civilian consumers. a leading investor news and research portal for the renewable energy sector within Investorideas.com, presents a sector close-up on renewable energy and solar stocks based on overall upward trends in the market that reflected strong gains in some of the sector leaders. First Solar, Inc. (NasdaqGS: FSLR) was up $15.41 (13.86%) on the close. Dr. Robert Wilder, of the WilderHill Clean Energy Index (^ECO) noted, "Stocks across the board showed up green today after the Fed's announcement targeting a rate cut, so there was little to differentiate clean energy, which also gained, from the rest. Clean energy clearly was hit much harder than most sectors over 2008 however, and so whether credit frees up boosting expansion of solar power, wind, electric cars, and the like which all demand readily available capital, remains to be seen. I think what happens the next few months will be telling. Clean energy could move up, very smartly off deep 75% declines for the year... or, it could revert to 2008's downward trend. The greatest single thing missing is probably “confidence”. Restore that, and clean energy could perhaps re-climb farther upwards than most sectors in reverting to mean." The WilderHill Clean Energy Index (^ECO) was up 5.61 (6.77%). In terms of confidence within the sector, industry participants are betting on Obama.” Technology breakthroughs are fueling a surge in new energy development that is no longer hostage to the ups and downs of petroleum", said Riggs Eckelberry, CEO of OriginOil (OTCBB: OOIL). He added, "The incoming Administration’s unqualified support is a key factor. We are very optimistic about New Energy's prospects for 2009." According to Tom Djokovich, CEO of XsunX (OTCBB:XSNX),“The failure for the US government to pass an extension to the 30% Federal Investment Tax Credit (ITC) earlier this year placed downward pressure on solar stocks. By the time an eight year extension to the ITC was passed, as part of the TARP legislation, the economy had fallen into tremendous disarray. In reality the underlying fundamentals associated with the need and demand for electricity and solar have and continue to be very strong. You have the ITC now allowing utilities to monetize the 30% tax credits which is huge, we’re seeing increased legislation requiring and expanding renewable portfolio minimums on utilities here in the USA and abroad, and for the first time the US Environmental Protection Agency (EPA) appeals panel rejected a federal permit for a newly planned coal fired electrical production plant in Utah requiring that the EPA consider CO2 emissions when issuing permits. This could place in jeopardy nearly 100 planned coal fired plants. We even have a President elect committing to build a new clean energy economy, and the scope of this endeavor is beyond comprehension for most citizens. The economic situation may be causing investors to look the other way but I think they are ignoring a freight train of opportunity headed their way in the form of solar sector opportunities. I know XsunX is working hard to deliver solar products to help fill the demand for solar,” concluded Djokovich. Akeena Solar Inc. (NASDAQ:AKNS) (Market, News) closed up $0.12 (7.14%). Archer-Daniels-Midland Co. (NYSE:ADM) (Market, News) had gains of $2.34 (8.89%). Carbon Sciences, Inc. (OTCBB: CABN) (Market, News) closed up $0.02 (11.11%). Clean Energy Fuels Corp. (NASDAQ:CLNE) (Market, News) was up $0.40 (8.62%) on the day. Evergreen Solar Inc (NASDAQ:ESLR) (Market, News) moved up $ 0.15 (5.62%). First Solar, Inc. (NASDAQ: FSLR) (Market, News) closed up $15.41 (13.86%). ICP Solar Technologies Inc. (OTCBB: ICPR) was up $0.02 (8.70%). Mantra Venture Group Ltd. (OTCBB: MVTG) (Market, News) was unchanged at $0.36. OriginOil, Inc (OTCBB: OOIL) (Market, News) had gains of $0.05 (20.00%). Smartcool Systems Inc. (TSXV: SSC) (Market, News) was unchanged on the day. SunPower Corporation (SPWRA) (Market, News ) was up $1.71 (5.60%). Suntech Power Holdings Co. Ltd. (STP) (Market, News) moved up $0.40 (4.21%). Westport Innovations Inc. (WPT.TO) (Market, News) closed up $0.16 (3.31%). Yingli Green Energy (YGE) (Market, News) was up $0.46 (8.95%). XsunX Inc. (OTCBB: XSNX) (Market, News) closed at $0.20. HAMBURG, Germany & SINGAPORE, Dec 15, 2008 -- EPURON Pte. Ltd. Singapore, a regional subsidiary of the Conergy Group in GE unit GE Energy Financial Services have launched Asia-Pacific's first renewable energy private trust to spur their growth and investments in wind, solar, small hydroelectric, biogas and biomass power generation throughout the region. The Renewable Energy Trust Asia ("RETA") is an investment vehicle focused on the US$7 billion annual renewable energy markets of India, the ASEAN countries and South Korea. It plans to build a portfolio of some 200 megawatts through potential investments totalling US$250 million (S$380 million) within the next five years. With an 80 percent stake, GE Energy Financial Services will serve as RETA's anchor investor. In addition to maintaining its core expertise in greenfield development, EPURON will hold a 20 percent stake in RETA and act as its Trustee-Manager. EPURON will be responsible for project development, debt financing, acquisition of hardware and supervision of the construction of renewable energy projects. After projects have been completed, EPURON will manage them. RETA will acquire and operate renewable energy projects from both EPURON and third parties and expects to make its first investment within a year. GE Energy Financial Services will share expenses, deciding on each proposed investment when presented. Financial details were not disclosed. "This sophisticated investment vehicle offers great opportunities to develop in future even more commercial-scale renewable power projects in Asia-Pacific. These projects secure predictable cash flow and long-term capital growth and are therefore a particularly interesting asset class for investors, despite the volatile financial markets. Our close partnership with GE ensures that our project developers in Asia-Pacific know right from the start which demands projects must meet to fit in the trust. Thus we can use our resources in a much more specific and efficient way," said Hamburg-based EPURON Managing Director Joachim Muller. Conergy CEO Dieter Ammer added: "We are building long-term relationships between highly specialised partners with a strong track record in their respective business areas. This is one of the answers to the challenges that we have to manage in times of financial turbulence. With the Renewable Energy Trust Asia, we will combine EPURON's renewable energy project development and financial expertise with GE Energy Financial Services' world-class origination and underwriting capabilities, as well as its access to technology." GE Energy Financial Services, which has already invested more than US$4 billion in renewable energy, sees the trust with EPURON as a new platform for its growth. "This innovative trust is an efficient way for us to partner with an experienced developer and aggregate a diversified portfolio of smaller renewable energy investments in Asia," said James Berner, the Singapore-based head of Asia at GE Energy Financial Services. "The renewable energy trust is also a way for us to contribute to GE's ecomagination program, its initiative of helping its customers meet their environmental challenges while expanding its own portfolio of cleaner energy products." Once a sufficient investment volume has been achieved, RETA may be listed on the Singapore Exchange Securities Trading Limited ("SGX-ST") stock exchange, becoming the first pure-play renewable energy business trust to be listed in Asia-Pacific. This first "green" trust in Asia-Pacific and the collaboration with GE serve as a potential model for realising commercial-scale renewable energy projects with the Conergy Group in other regions. About EPURON Singapore EPURON Singapore is the Asia-Pacific subsidiary of EPURON GmbH, one of the leading companies for project development and structured financing as well as operational management in the renewable energy sector The company develops, finances and implements wind farms, solar thermal power stations as well as bioenergy plants. Since its foundation in 1998, EPURON has financed and implemented over 90 large-scale projects with an investment volume of over 800 million Euros. Its clients include institutional and private investors around the globe. EPURON is a member of the listed company Conergy AG. For more information, visit www.epuron.com. About Conergy Since its founding in 1998, Hamburg-based Conergy AG has sold more than a gigawatt in renewable energy, making it one of the biggest European suppliers of solar energy and other renewable energies, and a world leader in solar system integration. Of the one gigawatt in renewable energies, Conergy has installed more than 400 megawatts in its major projects. Of the total one gigawatt, 200 megawatts falls to its wind energy park projects and 800 to its globally marketed solar modules. According to the German Solar Industry Association (BSW) this is just under a fifth of the entire installed photovoltaic output in Germany. Calculative one in ten modules worldwide was produced, sold or installed by Conergy. Listed on the Frankfurt Stock Exchange since 2005, the group pursues a global growth strategy, the company now produces, installs and designs solar power systems and wind turbines in around 20 countries. The Conergy Group is represented with its own branches on five continents. For more information, visit www.conergy.com. About GE Energy Financial Services GE Energy Financial Services' experts invest globally with a long-term view, backed by the best of GE's technical know-how and financial strength, across the capital spectrum in one of the world's most capital-intensive industries, energy, to help their customers and GE grow. With US$19 billion in assets, GE Energy Financial Services is based in Stamford, Connecticut. In renewable energy, GE Energy Financial Services is growing its portfolio of more than US$4 billion in assets in wind, solar, biomass, hydro and geothermal power. For more information, visit www.geenergyfinancialservices.com. About GE GE is a diversified global infrastructure, finance and media company that is built to meet essential world needs. From energy, water, transportation and health to access to money and information, GE serves customers in more than 100 countries and employs more than 300,000 people worldwide. GE is Imagination at Work. For more information, visit the company's Web site at www.ge.com. DISCLAIMER This communication is neither a prospectus nor does it constitute an offer to sell or the solicitation of an offer to purchase the shares or other securities of Conergy AG and it does not substitute the prospectus. Subject to the approval by the German Financial Supervisory Authority a securities prospectus will be published prior to the offer period and made available free of charge by Conergy AG and the coordinators. The shares will be offered exclusively on the basis of the prospectus required to be approved by the German Financial Supervisory Authority. This communication is not an offer of securities for sale in the United States of America. Securities may not be offered or sold in the United States of America absent registration or an exemption from registration under the U.S. Securities Act of 1933, as amended (the "Securities Act"). Any public offering of securities to be made in the United States of America will be made by means of a prospectus that may be obtained from Conergy AG and that will contain detailed information about the company and management, as well as financial statements. Conergy AG does not intend to register any part of the offering in the United States. The information contained in this communication is not for publication or distribution in or into the United States of America, Canada, Australia or Japan and does not constitute an offer of securities for sale in the United States of America, Canada, Australia or Japan. POINT ROBERTS, WA –December 16, 2008 www.RenewableEnergyStocks.com, a leading investor news and research portal for the renewable energy sector within Investorideas.com, announces new featured showcase company, GWS Technologies, Inc. (OTCBB: GWSC), an alternative energy company developing and marketing “microgeneration” solar and wind-powered renewable energy products and solutions. GWS stands for GreenWindSolar. We are an alternative energy company developing and marketing solar and wind-powered renewable energy products and solutions. Products and solutions are part of the new “microgeneration” movement that is transforming the way everyday people provide for their energy needs. Through a growing line of solar and wind-powered products ranging from handheld devices that can recharge an iPod to wind turbines for point-of-use alternative energy generation, GWS is positioning in the emerging microgeneration marketplace. InvestorIdeas.com is one of the first online investor resources providing in-depth information on renewable energy, greentech and water sectors. WASHINGTON--Dec 15 2008 --Renewable energy production can provide long-term economic growth and thousands of new green jobs for the United States, while helping to reduce reliance on oil and cut greenhouse gas emissions. The Biotechnology Industry Organization today called on Congress to include support for biorefineries, biobased materials, and energy crops in economic stimulus legislation. Brent Erickson, executive vice president of BIO’s Industrial & Environmental Section, said, “Congress has an opportunity to ensure that the United States’ economic recovery is both financially and environmentally sustainable. Investment in advanced biofuels, biobased materials, and energy crops can produce thousands of new jobs and billions of dollars in economic activity. These investments can also help the United States reduce its dependence on oil and its emissions of greenhouse gases. Extend the Cellulosic Biofuel Production Tax CreditUnder current law, the production tax credit for cellulosic biofuels is available through 2011, but only a small number of commercial cellulosic facilities are expected to be placed in service by that time. This is a significant impediment to additional investment in this industry at a time when the drop in crude oil prices has further increased the challenge of commercialization. Increase Funding for Biomass RD&D and Biorefinery ConstructionUSDA and Department of Energy programs to support research and development as well as construction of biorefineries have provided real benefits in helping commercialize cellulosic biofuels and biobased materials. A funding increase for these programs could accelerate technological developments and attract capital investment necessary to bring large volumes of cellulosic biofuels to the market within the next five years. Create a Production Tax Credit for Biobased MaterialsAdvanced biobased materials, such as biobased plastics and renewable chemicals, reduce dependence on oil and greenhouse gas emissions by substituting biomass for petroleum. However, biobased materials are not currently incentivized in the tax code. Increase Funding for USDA Biobased Markets ProgramThe USDA’s Biobased Markets Program is intended to accelerate the commercialization of biobased products through a USDA Certified Biobased Labeling program and procurement program. Additional funding can speed implementation of the program and help develop the fledgling biobased products market. Fast Track the Biomass Crop Assistance ProgramThe Biomass Crop Assistance Program helps farmers to establish, maintain, harvest, collect, store and transport next-generation energy crops. The program is critical to developing supply chains for advanced cellulosic biorefineries. The Advanced Biofuels & Climate Change Information Center presents the latest commentary and data on the environmental, greenhouse gas and other impacts of biofuel production. Drop in and add your comments, at http://biofuelsandclimate.wordpress.com/. “The nominations of Dr. Steven Chu and Carol Browner are excellent signals that the new Administration is going to be very serious about developing a national energy policy which is strong on alternative fuels, on using domestic resources and on conservation. In fact, the Pickens Plan – which calls for building our wind and solar capacity to produce electricity thus freeing natural gas to be used for heavy trucks, buses and fleet vehicles -- is the bridge between our dependence on foreign oil today and the exciting carbon-neutral solutions that Dr. Chu is developing, which will hopefully satisfy the global need for energy 15 – 20 years out. Vancouver, Dec. 9, 2008- Smartcool Systems Inc. (TSXV: SSC), is pleased to announce that the Company's distributor in the Philippines, Smartcool S.E. Asia Inc., has entered into a sales agreement with Ayala Property Management Corporation ("APMC") in the Philippines, to install Smartcool's Energy Savings Module (ESMT) in the entertainment wing of their Greenbelt 3 Mall located in the Ayala Center in Makati City. This adoption of Smartcool's green technology by APMC, a wholly owned subsidiary of Ayala Land, Inc., is the initial installation of a more extensive roll-out within their property management portfolio that is made up of shopping malls, residential and office towers and industrial/commercial facilities within the Philippines premier business district, Makati City. Management has committed to expanding Smartcool's global presence and the Philippines represents an ideal region in which the ESMT can be implemented. South East Asia has high temperatures and high humidity which requires significant power requirements for air-conditioning and refrigeration. In addition, consumers in this region are paying high rates for electricity further supporting the requirement for energy efficiency technologies such as Smartcool's ESMT. "Major advancements have been made by our distributor, Smartcool S.E. Asia Inc.," states George Burnes, President of Smartcool Systems Inc. "This particular installation is extremely encouraging as we have entered into an arrangement with a p roperty group that has a significant portfolio and is committed to environmental management, which we feel Smartcool's technology can be an integral part of." David Verlee, President of Smartcool S.E. Asia Inc adds, "This initiative represents one of many that we have been developing in this region. We are exploring opportunities in several vertical markets such as cold storage, manufacturing plants and supermarkets, and the relationships that we have developed make the outlook very encouraging. There is no doubt that the requirement for energy efficiency in this region is great and with our technical expertise we feel we can provide a service to our clients that will deliver significant economic benefits." Ayala Property Management Corporation (APMC) is a wholly owned subsidiary of Ayala Land, Inc. engaged in integrated property management services including building administration and maintenance, lease administration activities, commercial center and subdivision maintenance, and special technical services. It continues to provide property management services for shopping centers, subdivision, parking structures, waterworks operations and other properties developed by Ayala Land and its subsidiaries. APMC is best known for managing strategic parking facilities, office and residential towers in the Philippines' premier business district, Makati City. It pioneered in automating parking operations and continues to introduce similar innovations in its other areas of operation such as recycling water from households for non-potable uses. For more information please visit www.ayalaproperty.com. Smartcool S.E. Asia was incorporated for the purpose of selling, marketing and distributing Smartcool's technologies in Asia. The management group has vast experience assisting companies to develop strategies for entry into the Asian market place by offering professional market research and competiti ve analysis enabling the implementation of well thought-out development plans. With engineers, sales people and technicians working from offices in Manila, and a solid reputation within the energy efficiency/environmental community, Smartcool S.E. Asia is well positioned to take advantage of opportunities in this region. Smartcool Systems Inc. (SSC: TSX.V) manufactures and distributes the Smartcool Energy Saving Module (ESM)T, which makes refrigeration and air conditioning systems more efficient, resulting in proven cost savings, reduced energy consumption, and a smaller carbon footprint. The Smartcool ESMT can be retrofitted to existing refrigeration and air conditioning systems and is compatible with all known control systems. More than 25,000 units have been installed in North America, Asia, Europe and Australia for Smartcool customers such as supermarkets, food distributors, telecommunications companies, hospitals, hotels, universities and energy companies. The Ardour Global Alternative Energy Index(SM) (TICKER: GIGL) will add 7 new components, effective 9:00 AM (EST) Monday, December 22, 2008. 21 stocks will be deleted from the index, changing the number of index components to 109. The changes result from the index's quarterly rebalancing. NEW YORK, Dec 09, 2008 -- The Ardour Global Alternative Energy IndexSM (TICKER: GIGL) will add 7 new components, effective 9:00 AM (EST) Monday, December 22, 2008. 21 stocks will be deleted from the index, changing the number of index components to 109. The changes result from the index's quarterly rebalancing. Additions to AGIGL are: 5N Plus (TICKER: VNP CN); Badger Meter Inc. (TICKER: BMI US); Energy Recovery Inc. (ERII US); Consolidated Water (TICKER: CWCO US); Covanta (TICKER: CVA US); Iberdrola Renovables (TICKER: IBR SM); Manz Automation AG (TICKER: M5Z GR). Deletions from AGIGL are: Arise Technologies Corp (TICKER: APV CN); Aventine Renewable Energy Holding (TICKER: AVR US); Bioteq Environmental Tech Inc (TICKER: BQE CN); C&D Technologies Inc. (TICKER: CHP US); Clean Diesel Technologies (TICKER: CDTI US); Day 4 Energy Inc (TICKER: DFE CN); DayStar Technologies Inc (TICKER: DSTI US); Evergreen Energy (TICKER: EEE US); Hydrogenics Corp. (TICKER: HYG CN); Kemet Corp. (TICKER: KEM US); Medis Technologies Ltd. (TICKER: MDTL US); Pecific Ethanol Inc. (TICKER: PEIX US); Spire Corp. (TICKER: SPIR US); Sunways AG (TICKER: SWW GR); Syntroleum Corp. (TICKER: SYNM US); US Geothermal Inc (TICKER: GHT CN); Brasil Ecodiesel (TICKER: ECOD3 BZ); Geodynamics Ltd. (TICKER: GDY AU); Powertech Industrial Co Ltd (TICKER: 3296 TT); Topco Scientific Co Ltd (TICKER: 5434 TT); Companhia Energetica de Minas Gerais (TICKER: CMIG4 BZ). a leading investor news and research portal for the renewable energy sector within Investorideas.com, presents a sector close-up on renewable energy and green stocks following a general rally in the market Monday, incited by President-elect Obama’s discussion on the weekend of proposed significant infrastructure spending moving forward. The WilderHill Clean Energy Index (^ECO) was up $ 6.99 (8.48%). ECO was the first Index for clean renewable energy and has since become a benchmark Index for the sector. http://www.wildershares.com/. The First Trust Global Wind Energy (FAN) ETF was up $ 0.90 (8.08%) and the Claymore/MAC Global Solar Energy (TAN) was up 0.4537 (6.11%). The Claymore ETF (TAN) tracks the MAC Global Solar Energy Index (^SUNIDX) that was up 6.61 % on the day. Akeena Solar Inc. (NASDAQ:AKNS) was up over 4%. Archer-Daniels-Midland Co. (NYSE:ADM) (Market, News) was up$ 0.98 (3.79%). Clean Energy Fuels Corp. (NASDAQ:CLNE) (Market, News) was up $ 0.26 (5.32%). Evergreen Solar Inc (NASDAQ:ESLR) (Market, News) closed with gains of $0.18 (7.29%). First Solar, Inc. (NASDAQ: FSLR) (Market, News) closed up $6.30 (4.90%). SunPower Corporation (SPWRA) (Market, News ) closed up $ 2.19 (6.70%). Suntech Power Holdings Co. Ltd. (STP) (Market, News) closed up $1.54 (18.12%). Yingli Green Energy (YGE) (Market, News) ended the day up $0.76 (17.47%). VICTORIA, BC, CANADA December 8, 2008- Carmanah Technologies Corporation (TSX:CMH) today received the CanSIA "Solar PV Project of the Year Award" for a grid-tied solar power system installed on the Jean Canfield Building in Charlottetown, Prince Edward Island. In accepting the award at the Canadian Solar Industries Association (CanSIA) conference in Toronto earlier today, Carmanah CEO Ted Lattimore expressed his thanks on behalf of the entire project team, and commented on the global shift towards using renewable energy technology to create healthier and more efficient environments in which to live and work. At the Jean Canfield Building's grand opening celebration this spring, the Department of Public Works and Government Services Canada had declared the 500-person facility "one of the most environmentally friendly buildings ever constructed by the Government of Canada." Complementing the building's impressive list of environmental technologies and design efficiencies, the Carmanah grid-tied solar power system uses a 636-square meter rooftop array to generate up to 111,000 watts of electrical power from the sun's energy. A web-based interface displays key system information -- including the amount of energy produced and greenhouse gases avoided -- online (www.solarforbuildings.com) and on a display screen in the lobby. As a complement to the building's primary electricity supply, the grid-tie solar power system offsets the amount of power drawn from the grid and helps keep monthly power bills low, all while reducing the building's dependency on the electrical utility. According to Ron St. Onge, project manager with Public Works and Government Services Canada, the grid-tie solar power system supplies approximately 8-10% of the building's electrical requirements, helping to keep demand, and electricity bills, under control. "It requires virtually zero maintenance, and aside from monitoring electrical production, it's self sufficient," said St. Onge. The CanSIA solar conference is held annually to help highlight opportunities, programs and achievements within the solar industry. For more information, visit CanSIA at www.cansia.ca, or visit Carmanah at www.carmanah.com. TEL AVIV, Israel - Dec 8, 2008 - Better Place Israel, which is deploying the world’s first nationwide network for charging electric vehicles, today demonstrated for the first time its charging spot plugged in and charging an electric car in Israel. The company unveiled its first plugged in parking lots as well as the charging spot design that will be used in deployments around the world. Better Place Israel CEO Moshe Kaplinsky displayed the first electric parking lot in Israel today at the Cinema City parking lot in Pi-Glilot. He showcased the charging spots and the charging process of the electric vehicle. Several months ago, the company announced the beginning of the pilot planning in Israel that will constitute the first deployment for the Better Place infrastructure in the world. The company started the network deployment pilot in Israel with several municipalities including Tel Aviv, Haifa, Kefar Sava, Holon, and Jerusalem, and it plans to continue to deploy the network in public places in these cities. With the pilot, the company has signed an agreement with "Ahuzat Hof's" parking lots while it also simultaneously finished infrastructure deployment in other areas including the Bazel parking lot, Europe house, Axelrod and the IBM corporate campus. In every parking lot, charging spot infrastructure has been planned and implemented. The deployment included production planning of electricity board installation and deployment of electric cables from the board to the charging spot, with emphasize on safety, quality and the electric network reliability. The charging spot is part of the Better Place electric car charging infrastructure. The Better Place infrastructure includes charging spots, battery exchange stations and a service control center that plans the energy consumption of the car and the whole system. The Better Place charging spots have been developed in Israel with the cooperation of "Nekuda D.M designing and technology Israel". During the development of the charging spot, Better Place evaluated a number of strategic criteria including: safety, user experience, mass deployment ability, maintenance, cost, and the need to blend the charging spot with the urban view. The charging spot that has been developed in Israel, complies with international standards and is destined to be deployed in Israel, Denmark, Australia, Californian, Hawaii and in other countries where Better Place will deploy its infrastructure. The Better Place charging spot has been designed by San Francisco-based strategic design agency, “New Deal Design.” The charge spot is designed to be compact and to blend in with the environment. It includes a friendly connector that has been developed and designed by Better Place. It complies with the international standards and is characterized in a material that helps the connection act to be accessible and convenient to use. In every electric car on the network, Better Place will install its operating system, which serves as the intelligence for the car and the network. The system centralizes the energy consumption of the car and helps the driver to plan an intelligent destination path so that the car always has enough power and more to get to and from a destination. The Better Place software in the car is connected to the service control center, which is designed to provide information and solutions for driving destinations in real time. The control center centralizes the energy consumption, regulates the different demands, and produces an energy consumption plan that is fitted to each car. POINT ROBERTS, WA --December 2, 2008 www.RenewableEnergyStocks.com, a leading investor news and research portal for the renewable energy sector within Investorideas.com, announces new featured showcase company Carbon Sciences, Inc.(OTCBB:CABN), a company developing biocatalytic technology to transform carbon dioxide (CO2) emissions into the basic fuel building blocks required to produce gasoline, diesel fuel, jet fuel and other portable fuels. Derek McLeish, CEO Carbon Sciences recently commented regarding President-elect Obama's New Energy for America plan, “The timing for our technology couldn't be better and we look forward to the highly anticipated legislative changes next year in support of renewable energy technology." Carbon Sciences, Inc. is developing a breakthrough technology to transform carbon dioxide (CO2) emissions into the basic fuel building blocks required to produce gasoline, diesel fuel, jet fuel and other portable fuels. Innovating at the intersection of chemical engineering and bio-engineering disciplines, we are developing a highly scalable biocatalytic process to meet the fuel needs of the world. Gain Exclusive Insight on Leading Sectors, Global Trends, and Insider Trading Ideas, News, Articles and the complete renewable energy stocks directory. Source: RenewableEnergyStocks.com, Carbon Sciences, Inc.